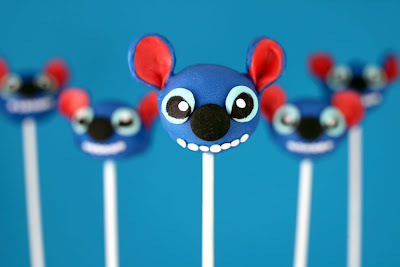 We definetly plan on getting JD a cool robot cake for his 2nd birthday party, but this year we are passing on the cupcakes and instead I (with the help of the Garcia Foodies, hint, hint) will be making Cake Pops, they are so fun and bite size. 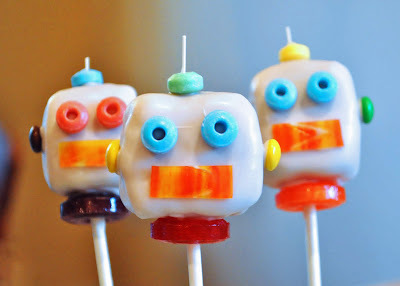 I love these Robot cake Pops by Bakerella, they are just too cute, I hope ours will come out just as cute, wish me (us) luck! 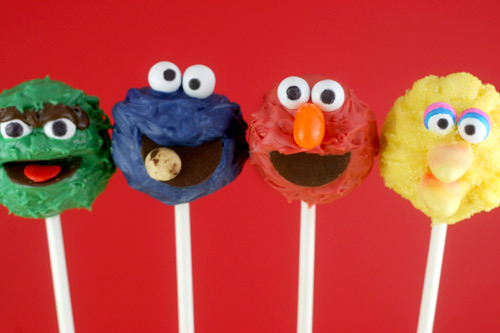 Here are a few more cute Cake Pop ideas by Bakerella, you can also buy Cake Pops: Tips, Tricks & Recipes here . Omg!! These are soo cute!! You guys are going to do a great job!! I never knew about cake pops. That'a fun and great idea! 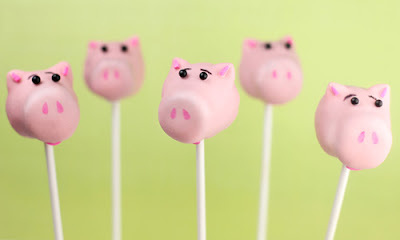 I also like the pig cake pops.. I am so behind schedule if I plan to have a birthday party for my son.. Oh no!! Thanks Izzy, I just wanted to do something new this year, I know the piggies are my favorite too! You have a couple of months, you can still pull it off! What an awesome idea! 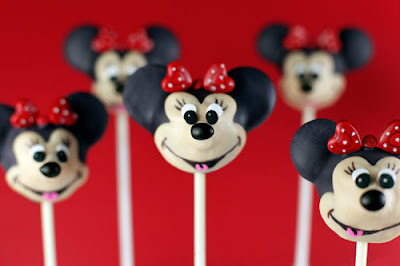 I've never heard of cake pops before - these look amazing. These are adorable!! I have a friend who has been trying to perfect the cake pop lol making them for several parties, including her son's toy story party. @Faith, Thanks,I didn't either until I came across Bakerella, she does amazing work. @Kristin I'm gonna start practicing. LOL I hope I find them at my local Target!